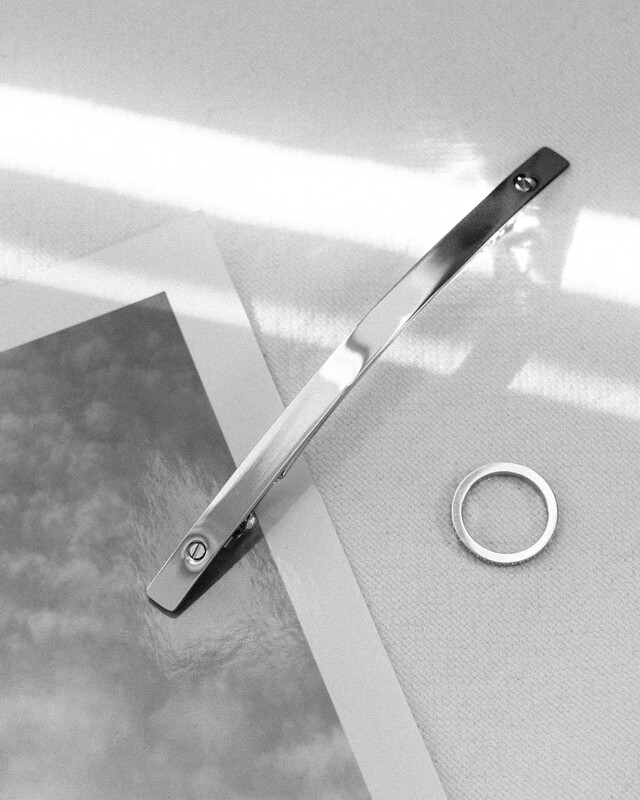 Barrette in silver-toned metal by Sylvain Le Hen. Christy Turlington photographed for Esquire November 1997 issue. Photo credit: Pamela Hanson. September style staples: layers, pullovers and pulled back hair. The wind is just too harsh for anything else. I joined a crab fish party at Savoy a couple of weeks back and it was lovely, as always. The only hiccup of the evening was the time we spent on the terrace, ladies standing as close to the doorway as possible, trying to look ladylike while freezing in our cocktail dresses, holding a champagne glass on one hand and trying to tame our hair with the other as the wind made it blow all around, stick on lips, own and others. You know how it is with hair, wind and party lips. If you are like me, in the mood for something a bit more elegant to hold your hair back than a rubber band or claw clip, have a look at the hair accessory collection by Parisian hair stylist Sylvain Le Hen. The line is beautiful, functional and reasonably priced. The metal clips and barrettes come in different shapes and finishes. It is like sleek modern jewelry that you wear on your head. One of my favorites is the slim silver-toned barrette specially designed for fine hair or half-head hairstyles. I bought my barrette in Samuji House, Helsinki. The collection is also available on Jenni Kayne and The Line.